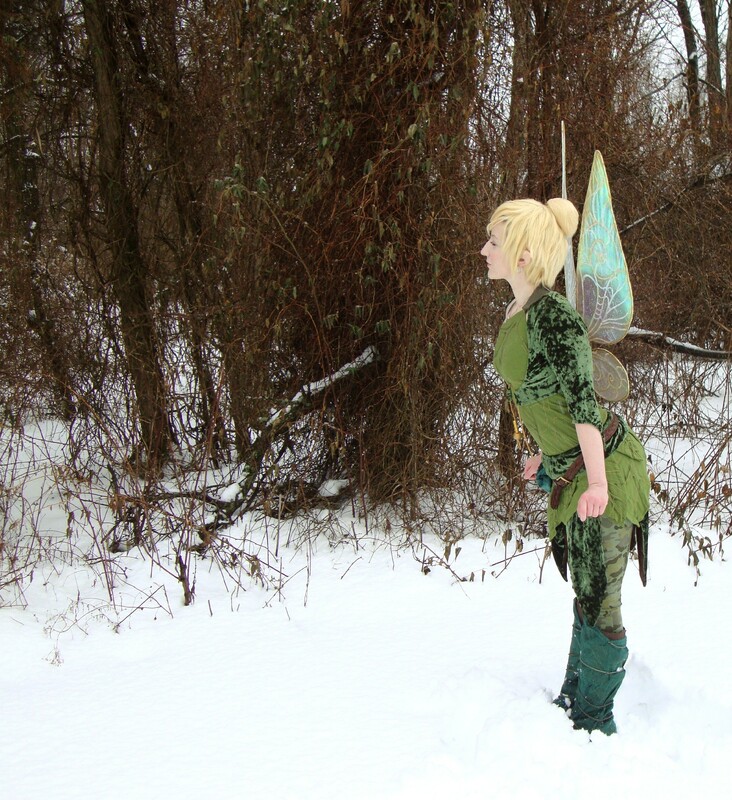 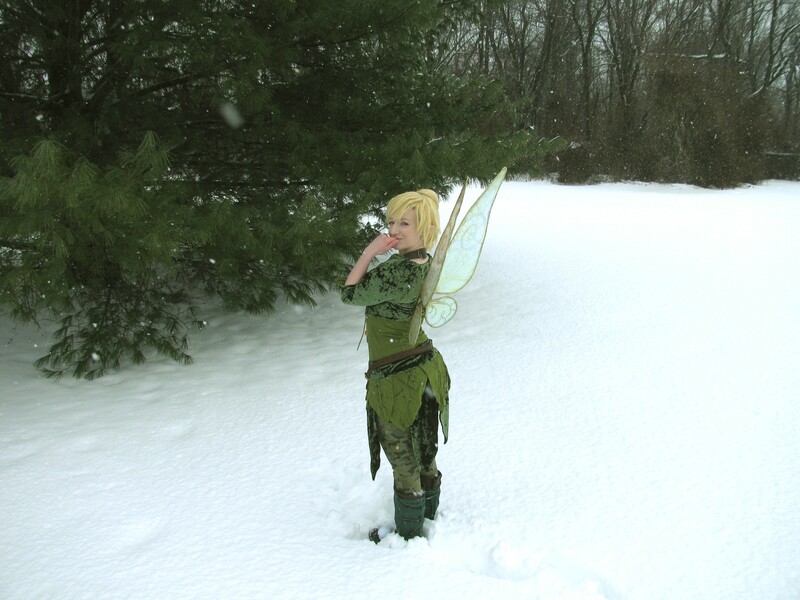 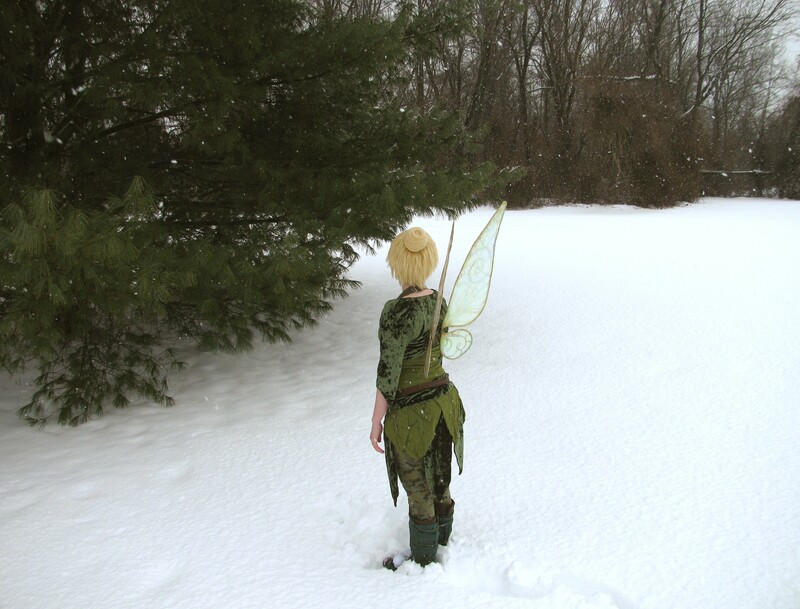 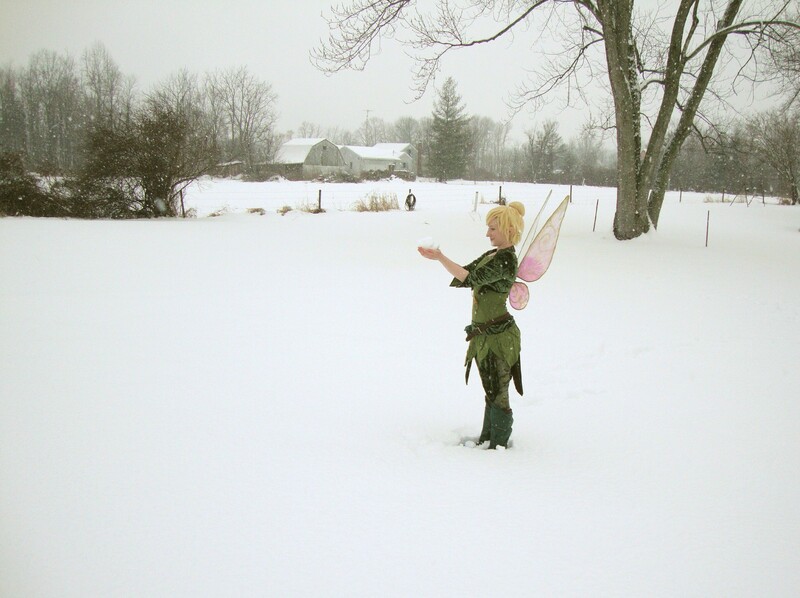 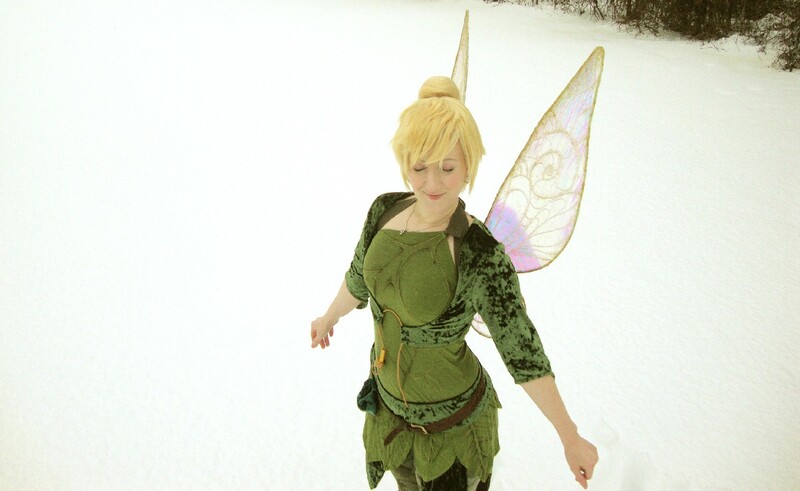 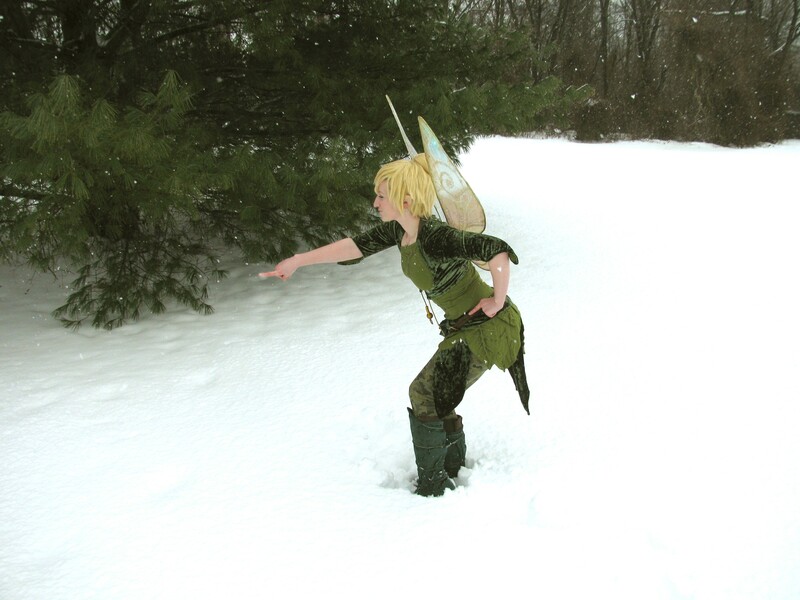 My design for this costume was all original but keeping Tink’s theme of green and leaves. 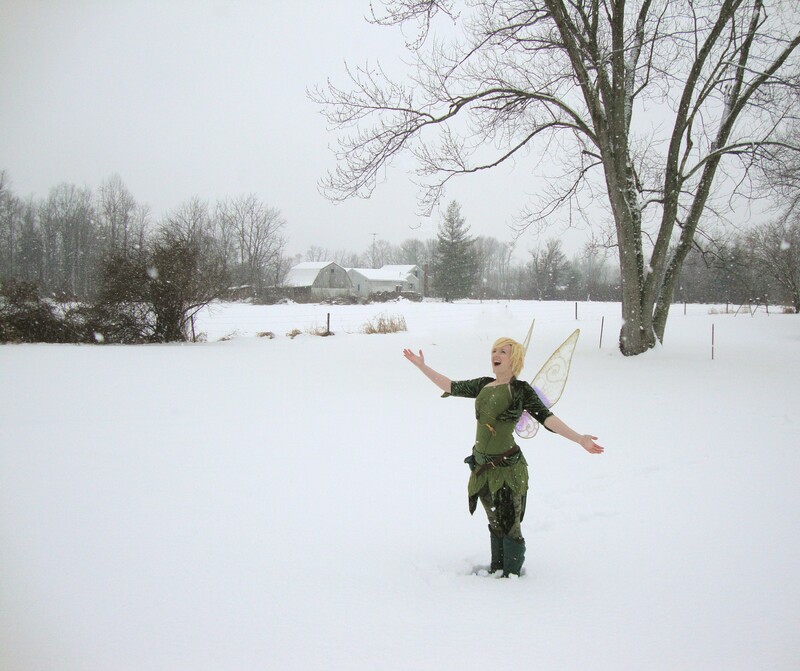 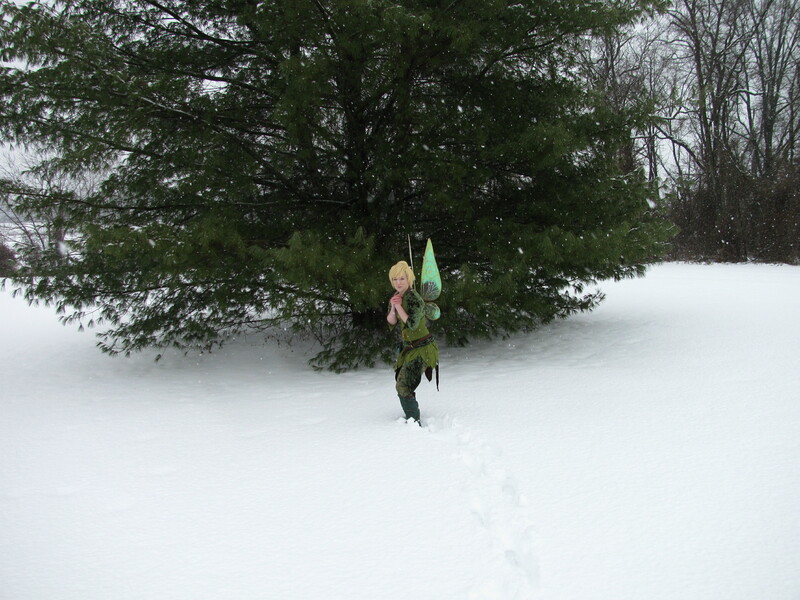 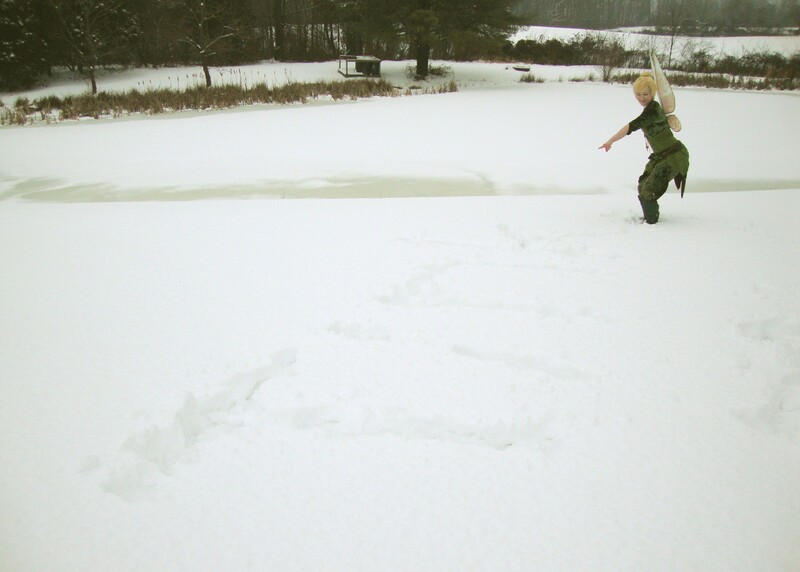 I gave it more of an adventuring outfit look and I felt that it worked great for the winter scene! 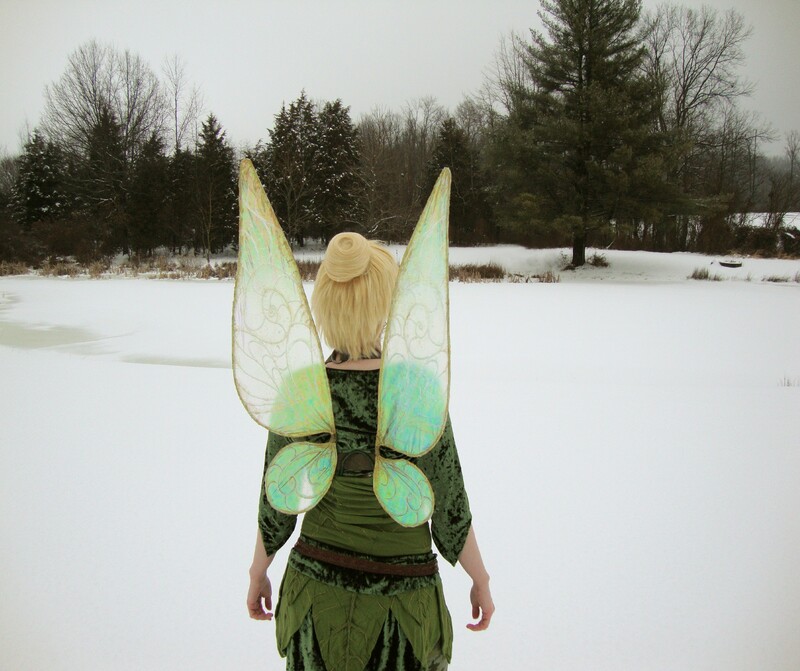 The most difficult part of this costume would be the wings, of course…but they turned out pretty cute.